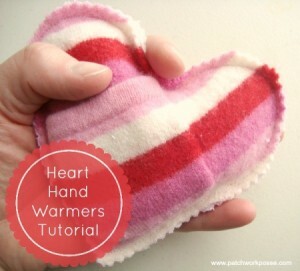 Sew up some heart shaped hand warmers for those chilly nights. Use felted wool sweaters and rice. Easy to make and great for small gifts or Valentines.